When we were preparing to travel to St. Vincent, we didn’t spend a whole lot of time researching activities. We were busy wrapping up our jobs, packing our belongings and simply looking forward to taking a break from work. Knowing that the first ten weeks of our adventure would include the daily duties of pet sitting, we knew we would have time to sort out our spare time once we arrived. Plus we also decided to stay in the Caribbean for a few “bonus weeks” following the house sits to do whatever. 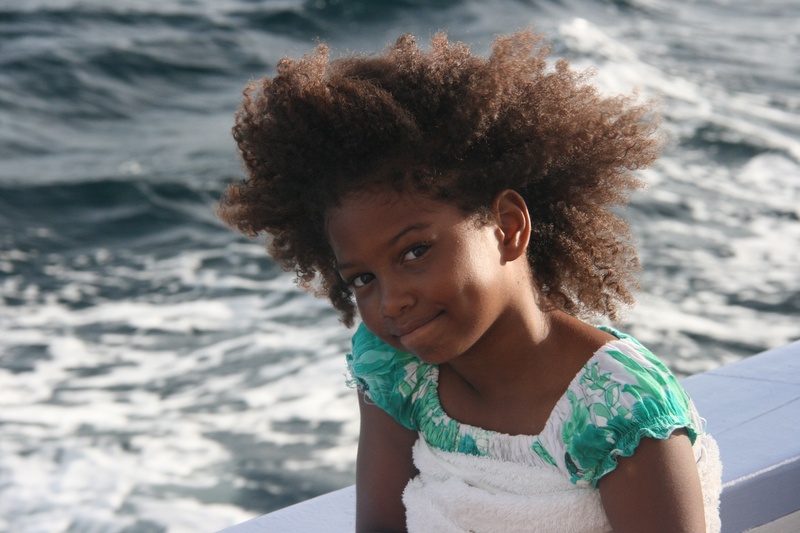 Our plan was to ask everyone we met in Bequia what we should experience before leaving the island. Everyone said go sailing on the Friendship Rose. We thought it was a little spendy (US$140 each) but with all the positive recommendations we went ahead. The Friendship Rose anchored at Port Elizabeth. 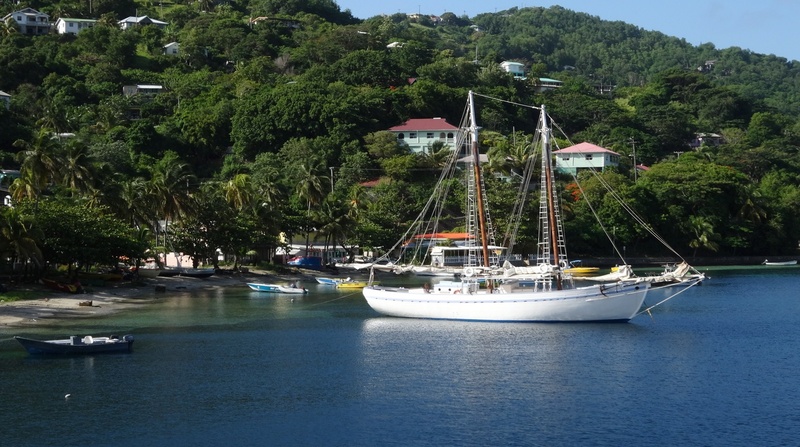 Bequia Island has a long history of ship building dating back to the Scottish settlers from the 1800’s. 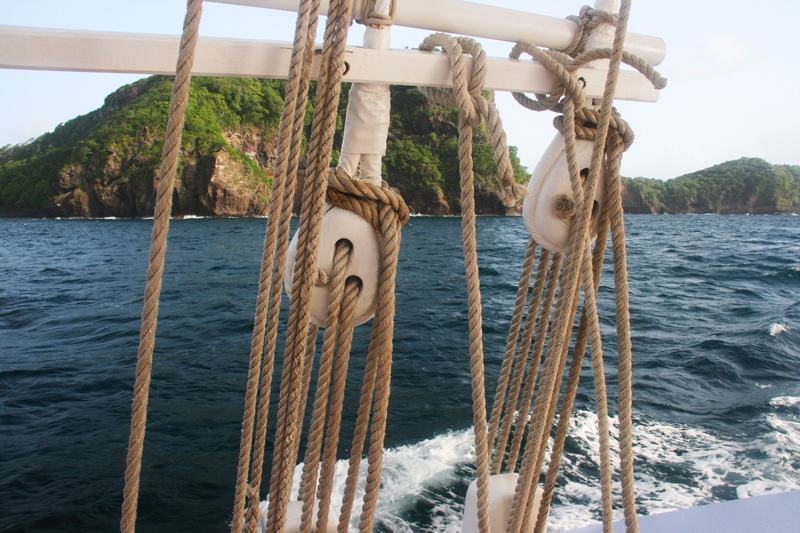 The Friendship Rose – a schooner – was built right here on Bequia back in the 1960’s. It originally served as the ferry between Bequia and St. Vincent. 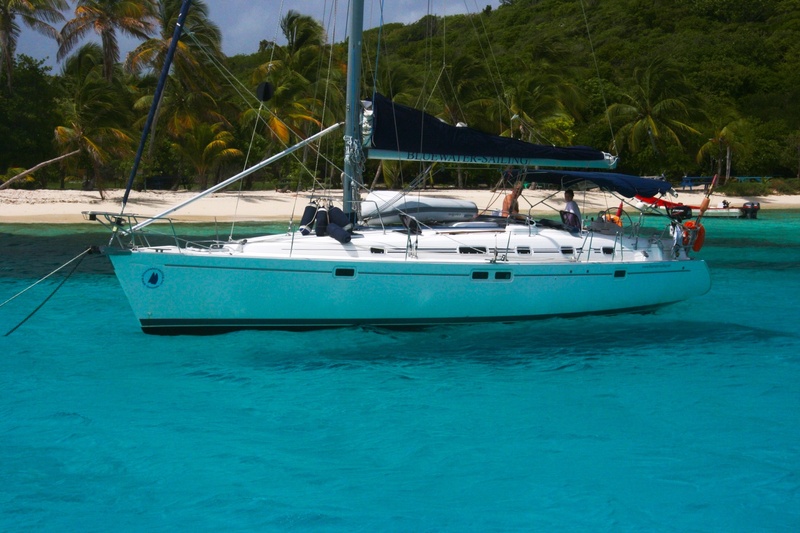 It has been retired for a while, refurbished, and is now used for charters to several of the Grenadines. Raising the sails on the Friendship Rose. 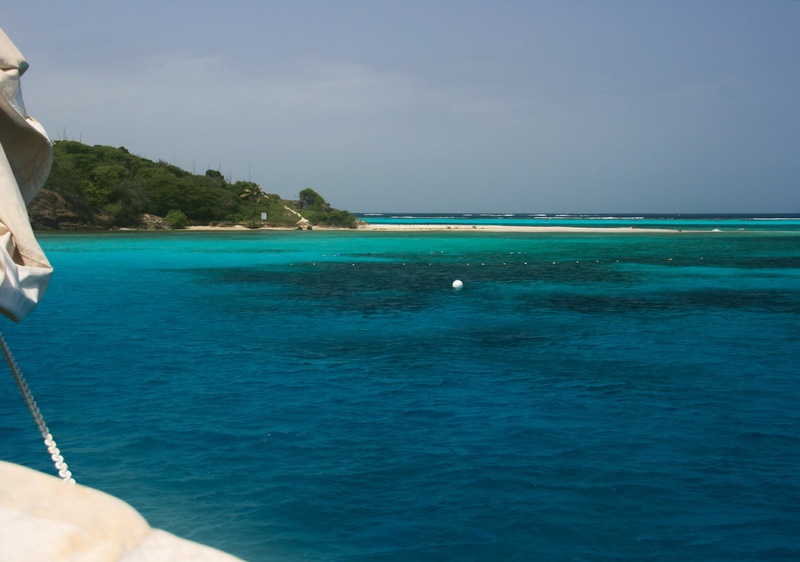 The trip that seemed the most appealing to us was the full day voyage to the Tobago Cays Marine Park. You may recall seeing them featured in the movie Pirates of the Caribbean: Curse of the Black Pearl, which included scenes filmed on Petit Tabac Island. The Tobago Cays are a cluster of five uninhabited islands in the heart of the Grenadine Islands. They only way to reach them is by boat and you can only stay for the day. No one is allowed to anchor over night. 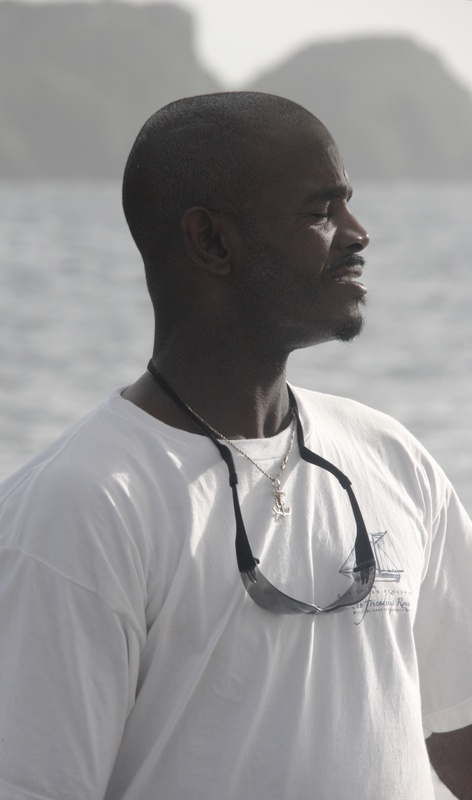 They contain some of the best preserved coral reefs in the Windward Islands. In addition to coral reefs, the park also contains a Hawksbill Turtle sanctuary, bird sanctuaries and shipwrecks. You can hike, snorkel and scuba dive to take it all in. Baradol Island, home of the Hawksbill Turtle sanctuary. The ride out to Tobago Cays was scenic and relaxing. Coffee, tea, juices and freshly baked croissants were served for breakfast. 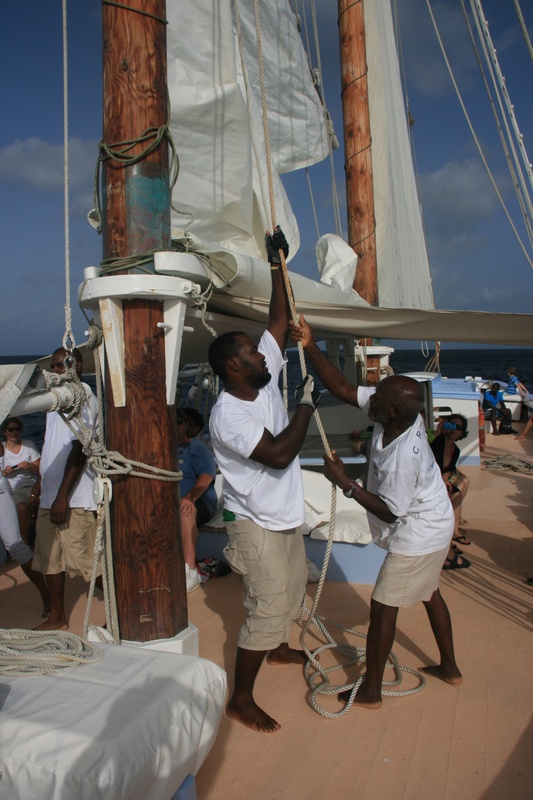 The crew were efficient raising the sails by hand and taking care of our every need. 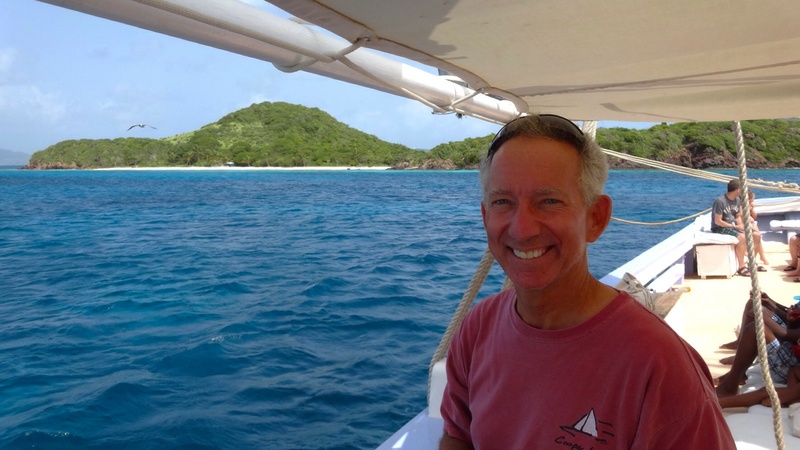 Once we anchored at the Cays, we were shuttled over to Baradol Island to go snorkeling with the sea turtles. It only took a few minutes before we spotted our first. From what I saw, they are not afraid of humans; you can snorkel right up to them. They just look at you while they are munching away at the sea grass. Our lunch was Caribbean chicken, carmelized plantain with roasted vegetables and herbed rice. 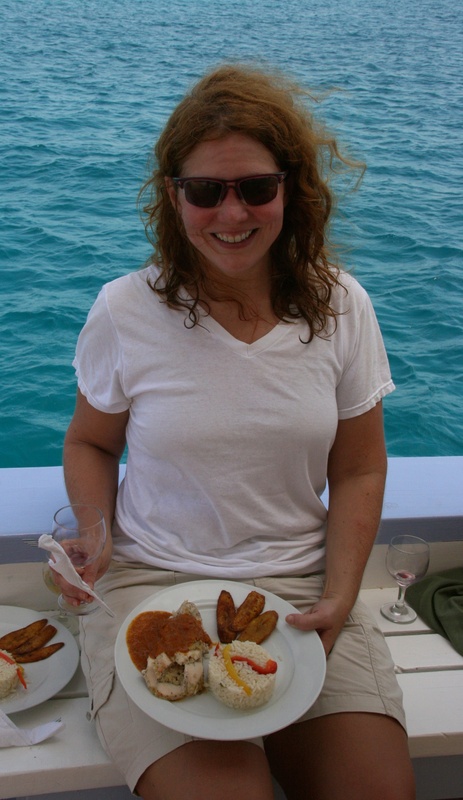 After we returned to the boat, it was time for lunch, followed by a quick swim before we began the return trip. The Friendship Rose is all wood, canvas and rope. A sailing trip into the past. We very much enjoyed our day on the water and can highly recommend this trip if you are in the area.